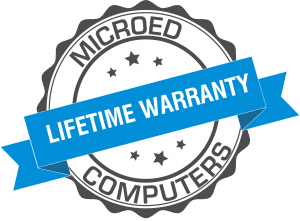 Here at MicroEd Computers we have been selling and repairing computers for over 35 years. Each desktop PC we sell is designed by us with only the best components used, this allows us to offer our unique lifetime guarantee*. 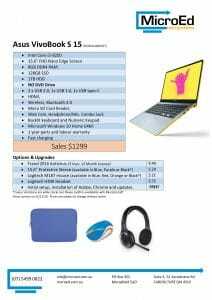 Along with desktop PC’s we also sell quality Notebooks, parts, and software. We are also happy to specially order in items for you. Below are a few of our most popular machines, each of which are customizable. If you would like to change, add or modify any of these systems to suit your needs we are more than happy to assist. If you would like to custom build a desktop computer please contact us with the details of what you require. 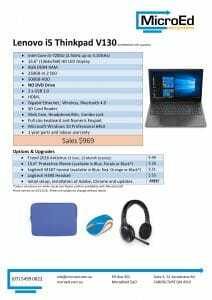 Below are our current laptop specials. If you require something more specialised please contact us for a quote. MicroEd Computers is a proud Certegy Ezi-Pay partner continuing our 10+ year relationship. 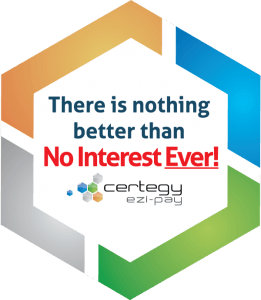 Certegy Ezi-pay is the leading provider of NO INTEREST EVER! Payment plans as used by over 1.4 million Australians. Please note: Certegy EziPay provides us with a finance limit of $3000 – Amounts above this limit will be required to be paid upfront. Then just choose one of our pre-configured packages or contact us in-store for a custom quote. The MicroEd repair center offers a quick turn-around time on repairs with the peace of mind of fixed rate repairs. Getting your friend to fix your PC often makes the matter worse and costs you more in the long run. Save your friendship and come see the experts. If you’d rather we visit you in your home or business then MicroEd has staff dedicated to on-site service with no call out fee* saving you the worry, time and inconvenience of hauling your computer or notebook off to the computer store. This option is also best for networking or internet issues, as well as printer and other equipment. See our business services page for rates. * No call out fee, however we do have a minimum of 1hr and locations greater then 30min for our main office may incur a one way travel charge. All new Desktop Computer purchased from MicroEd Computers include MicroEd Life Time Guarantee. (Microsoft and the likes are responsible for any software problems, the customer is also responsible for backups of data), peripherals such as monitor, mouse, keyboard etc carry their own respective manufacturers warranty. The computer case remains sealed with the sticker intact. The machine must undergo a yearly* paid service by MicroEd Computers. Unfortunately, due to the high price and low turn over of video cards we are not extending the guarantee to cover them at this time. They are still covered by their manufactures warranty and we are happy to help per sue this if required. 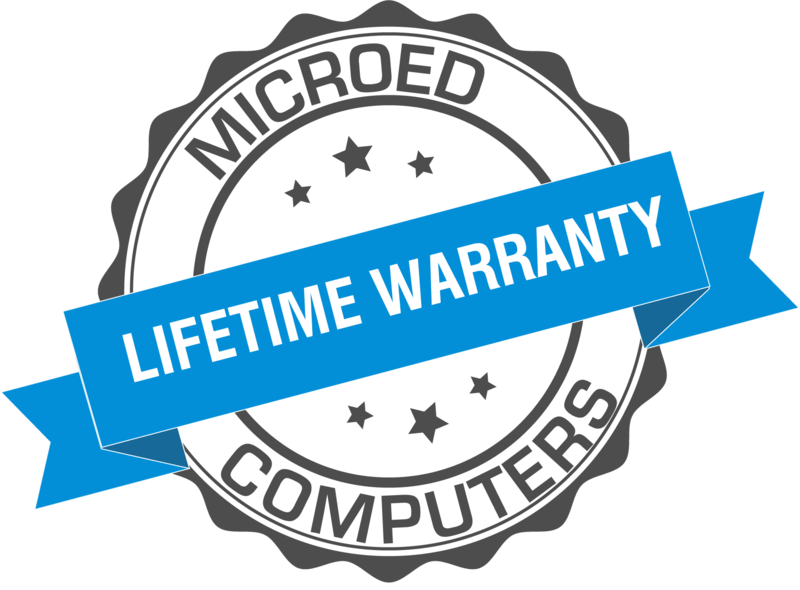 MicroEd’s Lifetime Warranty is to ensure your desktop computer hardware performs at the same capacity as the day it was purchased. As the industry evolves you may still wish to upgrade to remain consistent with trends and technology. Of course, such upgrades are not part of your warranty and are at your own discretion and expense, any parts replaced under warranty will be with an equivalent product. While we will endeavour to issue a courtesy reminder, it is solely the customers responsibility to ensure that servicing is done on time in accordance with the label on their PC, regardless of correspondence from MicroEd. * Within 12 months of the last service / purchase date.